You are invited to submit abstracts for the Mervyn C. Alleyne Commemorative Conference to be held at The University of The West Indies, Mona Campus in Jamaica from June 7-8, 2019. This conference is designed to commemorate the life and work of Professor Mervyn Coleridge Alleyne, a distinguished scholar who died on November 23, 2016, aged 83. He is one of the earliest scholars of Caribbean origin to engage in the discipline of Linguistics and has made original and valuable contributions to that discipline as well as to a range of others associated with the study of the Caribbean. The conference will take place at the Mona Campus of The University of The West Indies, the institution with which he had been associated practically all of his adult life. Please join us in celebrating the work or our esteemed professor. Papers dealing with topics across the discipline of linguistics may be submitted and we welcome papers addressing themes which were of particular interest to him, some of which are highlighted below. 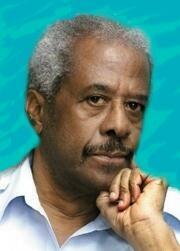 The title of the Conference will be "The Many Facets of Mervyn Alleyne". The following themes were of keen interest to him. Submissions, however, are not confined to these themes. The Programme is not yet available. Copyright © 2018-2019 Society for Caribbean Linguistics.